If you have an architecture company formed in a state outside New York, the New York Secretary of State classifies your company as a “foreign” entity. Before you practice architecture in New York, or even submit a bid for a project, you must obtain authorization to practice in New York. New York regulations are designed to protect the public and any unauthorized practice of architecture is considered a Class E felony. This all may sound straightforward and standard as with other states, but keep in mind that New York’s Secretary of State requires consent from the New York State Education Department (NYSED) before granting authorization. The NYSED has specific requirements architecture companies must meet, such as the particular name of the company, and without the NYSED’s consent, you will not obtain authorization to practice architecture in New York. However, if your company is a partnership, the NYSED does not need to issue its consent and you can file directly with the Secretary of State, but remember to forward a copy of the partnership’s filing receipt to the NYSED to complete the registration process. 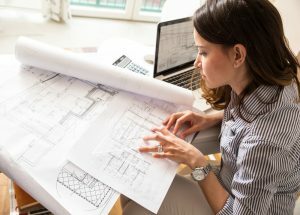 These are just a few of the New York-specific requirements that you should be aware of and it is important that you understand other potential issues that you may face, before you provide architectural services in New York. Questions about this topic or any other construction law issues?